EXIM INDIA’s CTL 2011, saw a gathering of leading speakers and panelists, policymakers and informed delegates, experts and analysts and top class exhibitors who deliberated on what is and what should be with impassioned views, suggestions, probing queries and solutions, the positives and shortcomings, the possibilities and necessities, the policy impediments and regulatory roadblocks in making India a world leader in ports and shipping, associated infrastructure and connectivity, and logistics as a whole. 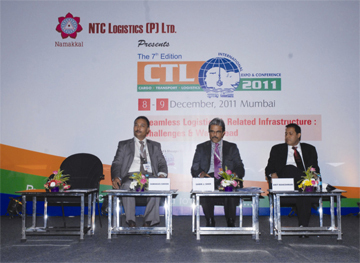 This CTL 2011 international conference and exposition which was held at the Bombay Convention & Exhibition Centre on December 8, 9 and 10 had it all from well attended sessions of the conference to increasing footfalls over three days at the exposition and the event was appreciated by one and all. The conference was a vibrant and invigorating two days (December 8, 9) spread across five technical sessions (focused on specific segments of the sector), in addition to the inaugural session and valedictory session. Be it cargo support for Indian-flagged vessels, call for relaxation of cabotage, operational autonomy for private container train operators, logistics to be declared an industry under a single policymaking body, creating tomorrow's infrastructure needs today, or uniting all segments of the industry under a Federation of Maritime and Logistics Associations of India, the propositions were varied and relevant. They were put forward in an interesting conference format having a mix of presentations and panel discussions, which was complemented by incisive queries and insightful comments from participating delegates. Be it the gently suggestive tone of Mr D. T. Joseph, authoritative assertions of Prof. G. Raghuram, erudite opinions of Mr S. N. Srikanth, perceptive views of Mr S. Hajara or candid observations of Mr L. Radhakrishnan, among the views of nearly 40 speakers and panelists, the CTL 2011 conference provided ample food for thought and action for bringing about a sea change in the cargo, transport and logistics sectors. These were the opinions expressed by the speakers and panelists on Day 1 (December 8) of the conference at the Inaugural session and the three technical sessions. The Inaugural Sessionset the tone for the five technical sessions to follow, with different aspects of the theme - Seamless Logistics & Related Infrastructure: Challenges & Way Ahead of the conference. partnership model to be evolved, and corporatisation of Major Ports as it would enable them to attract private partners and take on the role of a landlord port. The First Technical Session was on Transforming Indian Ports to World Class Facility. The Second Technical Session — Impact of Global Economic Scenario & Technological Advances on India's Ports & Logistics Sector had Mr M. P. Pinto, IAS, Former Secretary, MoS as the Session Chairman & Moderator. He called upon Mr Bas Huele, Director-Customer Service - India & Sri Lanka, Maersk Line India Pvt. Ltd, who said, “Before shipments used to be ad hoc. But now containerisation has revolutionised and stimulated global trade. It has linked markets and brought a lot of development to a lot of companies. It has actually reduced cost for customers by about 35 per cent.” He further said that Maersk has identified three pillars they need to improve on to take business to the next level: cargo reliability, ease of business and environmental performance. As moderator of the session Mr Pinto asked Capt. Alpesh Sharma, CEO, DP World Nhava Sheva, about the advantage they had on being the first to be in the market, to which Capt Sharma said, “The advantage of coming in first is that there is a ready market and no competition. But you also don't have any guidelines or benchmarks. So you have to chart your own path. And over a period of time, the advantages could turn into disadvantages. You sign an agreement with the government as per the initial policy, only to realise down the line that certain things have been missed. The next terminal can correct them but you are stuck with the old policy. TAMP rules today don't give fair value to the investor.” When Mr Atul Kulkarni, CEO, Chowgule Ports & Infrastructure Pvt. Ltd, was called upon to speak on the advantages of having a Greenfield port, he said that the new greenfield port entrant has certain advantages as it allows deciding what market you want to serve, what services you want to offer, etc., and thus have the option of picking that upfront. “A greenfield port is a better option, where you can be a long-term player. Private sector needs to be kept out of tariff regulation”, he added. Finally, Mr N. M. Kumbhar, GM - Logistics, Bhushan Steel Ltd, giving his insight said that while infrastructure has improved vastly over the years, the reality is that if you look at facilities in the port or facilities around the port, the shipper still faces problems. He stressed the need to upgrade our ports, CFSs, and the area outside the ports, coastal shipping and inland waterways. The Third Technical Session dealt on the topic, Technology, Training & State-of-the-art facilities. Day 2 started with the Fourth Technical Session which was on Hinterland connectivity & related infrastructure — Current status, challenges & outlook. and non-major ports 4-lane road connectivity. Mr Abhaya Agarwal, Executive Director & PPP Leader, Ernst & Young India, concluded that with DFC, the Railways would be able to garner new markets, energise the Delhi-Mumbai industrial corridor and give a major fillip to overall economic growth and transportation. After a sumptuous lunch break, the Fifth Technical Session started, which saw the speakers and panelists discussing the topic: SEZs, warehousing & supply chain logistics: The need for global standards & synergy. Mr Saibal De, Chief Executive-Ports, IL&FS Maritime Infrastructure Co. Ltd, was the Session Chairman & Moderator who felt the need to optimise the system in logistics and learn quite a bit in terms of technology, service efficiency, sorting out problems and an institutional structure. He then introduced and called upon Mr Faisal al Balushi, Projects & Contracts Manager, Sohar Industrial Port Company SAOC, to highlight on his port. Mr Balushi said, “Port of Sohar, developed as a world class industrial port, provides a very good base for downstream industries to come through the free zone. We have set up a framework where everything is available in one place and is in good order, creating a friendly environment for investors. The zone is a public-private partnership project, which creates economies of scale. We have benchmarked it against successful free zones like Jebel Ali.” Mr S. J. Vijay, MD, Salmon Leap Associates India when called upon to give his thoughts said that the SEZ Policy, which was supposed to be the engine for economic growth in this country, hasn't delivered. SEZs, however, could get a boost by projects like DFC, DMIC, North-South Corridor and National Manufacturing Policy. Mr Saurav Ghosh, Head-Transport, Handling and SCM, Arshiya International Ltd, joined to say that India, with its high logistics costs, presented a $60 billion opportunity in FTWZs and so they are looking at FTWZs as an integrated play and as a total logistics solution; hubbing is one of the most important aspects of their FTWZs. Mr Kenneth Eccles, CEO-CFS/ICD/Warehousing Division, Allcargo Logistics Ltd, too felt that the opportunities in India are tremendous but the logistics industry isn't considered attractive enough and so the market here needs to wisen up a little as it is cost-driven as opposed to being value/solution- driven. Mr Anand Sheth, President, AMTOI, felt, “There needs to be a paradigm shift in the vision of policymakers. In infrastructure, we need to look 20 years ahead. We need simple policies that are easy to comply with. We need integrated policies between centre and states and delegation of powers to the port authority. Open up coastal shipping to foreign flags, incentivise IWT, set-up special courts for infrastructure-related projects and give logistics industry a status. The authorities need to look at the registration end and not licencing. We need a reconciliation body/single window redressal mechanism.” Mr Sumeet Nadkar, CEO & MD, Kale Logistics Solutions, was then called upon to give his views, who felt the need for major investment in infrastructure, need for more automation in the movement from shipper to consignee, need to make sure that we have systems/platforms for digital exchange of information and also the need to have, in the first place, electronic data to interchange and a greater need for emphasis on reengineering the processes. Mr G. Kannan, Head Logistics, Larsen & Toubro, went on to add that there are major challenges in logistics and so there is a need for a National Logistics Commission and a need for this industry to get industry status. The Day 2 ended with the Valedictory Session, with Capt. Dinesh Gautama, Advisor, CSLA acting as a Moderator summed up that a little bit of consolidation is bound to take place in liner shipping and that volumes are going to rise and, with consolidation, the freight levels will also tend to rise a little bit. CTL 2011 thus had it all — a stimulating and invigorating conference programme, exhibitors showcasing their products and services from their brightly-designed stalls, top speakers and panelists, enthusiastic delegate participation over the three days, interactive format, networking opportunities with sectoral peers and a chance to meet policymakers and regulators. A food for thought and action was the general opinion. As with all the previous Exim India events, CTL 2011 Lucky Draw too saw top prizes attract enthusiastic participation from the large number of delegates/visitors. Trade Reviews for CTL 2011! The event was well coordinated, and the topics and speakers selected were very relevant. On the exhibition side we were able to engage with many relevant stakeholders, and we got some good insights and leads out of this. The quality of the speakers and audience was high and fervent. 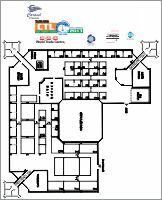 The feature of stalls and lay out plan at Exhibition was par excellence. As usual the show was demonstration of your strength and personal relationships with the industry stakeholders. We thank you for giving us the opportunity to be associated and look forward to continued association. We would like to give you three cheers for organising such beautifully the CTL 2011, hats off. Please do accept my congratulations to you on bringing together important people from Industry and providing an educative and interactive program. 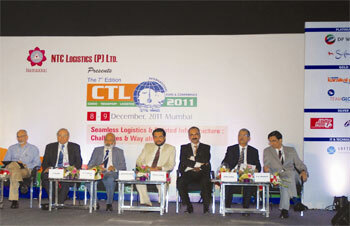 Heartiest congratulations and best wishes for the successful concluding of 7th Edition of CTL. Stalls have been put up very well, and I saw good no of visitors. It was a well organised trade fair. CMA CGM Agencies India Pvt. Ltd. It was pleasure meeting you and your effort to address key issues to policy makers are highly appreciated. It was a well orgainsed event, every time to set higher standards to be exceeded the next time. Please accept my heart congratulations on yet another most successful and impactful edition of CTL. Kale Logistics Solutions Pvt. Ltd.